Submitted by paulblez on 19-Apr-05 8:23am. Hard to believe these two machines are based on identical chassis, engines and running gear, isn't it? 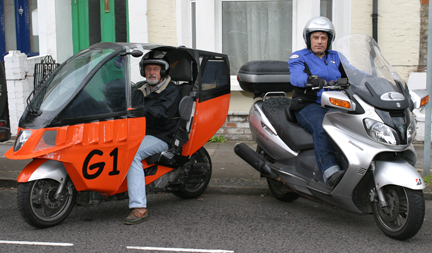 The Genesis (Mk2) works much better in the rain than BMW's C1 and is actually easier to ride.